Refactoring aims at improving the quality of design while preserving its semantic. Providing an automatic support for refactoring is a challenging problem. This problem can be considered as an optimization problem where the goal is to find appropriate refactoring suggestions using a set of refactoring examples. However, some of the refactorings proposed using this approach do not necessarily make sense depending on the context and the semantic of the system under analysis. 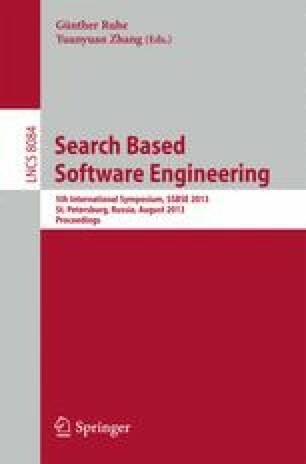 This paper proposes an approach that tackles this problem by adapting the Interactive Genetic Algorithm (IGA) which enables to interact with users and integrate their feedbacks into a classic GA. The proposed algorithm uses a fitness function that combines the structural similarity between the analyzed design model and models from a base of examples, and the designers’ ratings of the refactorings proposed during execution of the classic GA. Experimentation with the approach yielded interesting and promising results.